To truly ensure the longevity and beauty of your area rug, you must sometimes go beyond basic vacuuming and invest in professional cleaning services. When your area rug has started to look worn down, or when grime and dirt have been worked too far into the fibers to be extracted with a vacuum, Gilman Floors is there to make it look like new again by performing a quality cleaning. Proudly serving the Bluffton, South Carolina area, our experienced carpet cleaning technicians will clean and protect your home investment. The cleaning process begins with a hand inspection for any spots that have been worn through, torn, abrasions from furniture and foot traffic, pet contamination, or places where the dye has discolored. 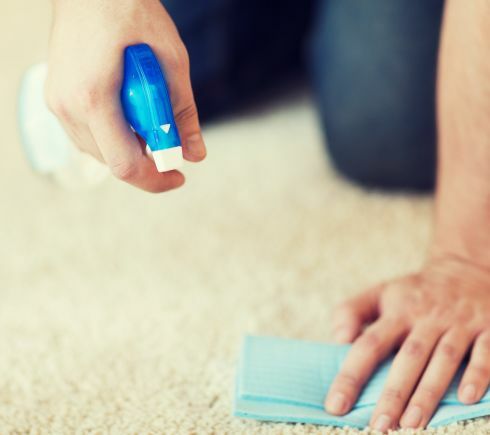 This makes it possible to determine the safest way to begin cleaning your area rug. Once the inspection has been completed, all of the embedded particles in the fibers are removed, such as allergens, hair, sand or dirt. Both the back and front of the area rug is scoured for any additional abrasive debris before moving on to the next step in the cleaning process. Once it is free of loose particles, each of your area rugs is washed, with the cleaning method varying depending on the materials it is made with and whether it is handcrafted or manufactured. After washing, any excess moisture is removed and a special cleaning rinse is applied to the area rug to restore the fibers to their natural state, preventing further damage. The area rugs are then dried in a specialized facility using a combination of moving air, heat, and a dehumidifier to prevent mold or mildew from forming. After one final inspection, your area rug will be returned and replaced in your home, as vibrant and gorgeous as it was the day that you purchased it. For a thorough and professional cleaning for your area rugs, Gilman Floors sets the standard in Bluffton, South Carolina.